In this course, ethics expert and legal malpractice attorney Daniel Abrams shares his views on how lawyers can protect themselves and minimize their chances of being sued for malpractice or being subject to other ethical headaches. 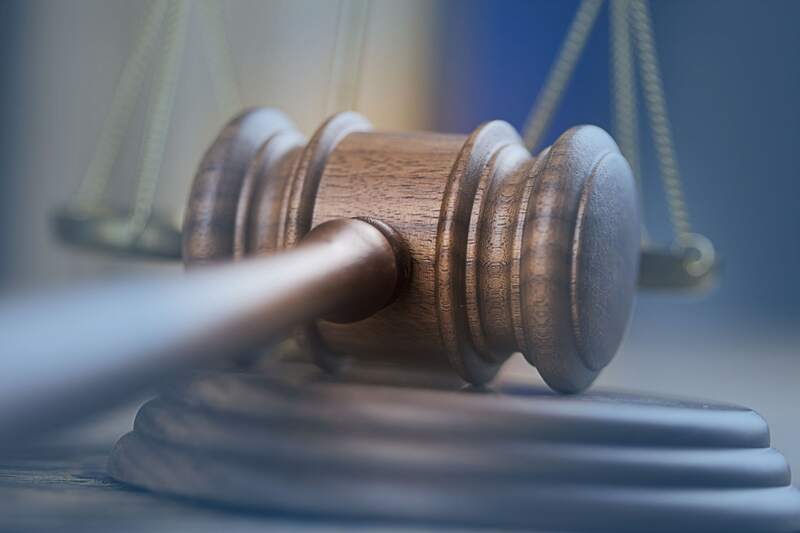 Here, Mr. Abrams covers the primary reasons why lawyers are sued, what plaintiffs’ legal malpractice lawyers are looking for in a lawsuit, the primary stages of a representation where lawyers get into trouble, and practical steps an attorney can take to minimize risk. This course is applicable to attorneys in all practice areas. Excellently presented and very informative. Good practical and NOT boring! I like the presenter's practical approach. FIRST TIME USER, I AM IMPRESSED! I found the course very informative. This was very good and not boring! Very well presented. Mr. Abrams is clearly knowledgeable in this area of the law. This was a very good presentation. The materials were excellent. I thought that Dan had an outstanding practical understanding of both the law and the reality of large law practice. I found myself nodding knowingly as he discussed the problems of client intake and the most likely clients and situations for the practitioner. Very well done. Presenter had a pleasant, even style. Good speaker and comprehensive overview. i would highly recommend this course. it was easy to follow and highly reommend it to all practiciting attorneys. Very practical information;likely every practitioner would benefit from watching this one. Very practical and useful information. Well done course. Clear presentation, easy to understand. Clear, simple and informative in a practical way. Fantastic (and incredibly useful) breakdown! Best ethics course yet! Very practical suggestions. Again, an excellent concise summary of the issues. Thank you, Mr. Abrams. Keeping this handout for future reference - good stuff! Excellent speaker & practical information. I thought it was very good; practical and practice issues were appreciated, without over discussing the rules. Content and presentation was very good. This was very helpful, and presented in a clear, concise way. Really well done and informative. Thank you for a very strong program! Sound practical information. Good lecturer. So important! More real-life examples always, please. Well spoken and great topic.. Very informative presentation of important subject matter delivered in most respectful manner. This was absolutely informative and will prove quite useful. Thank you! Format was easy to use and presentation was concise. Very valuable information for all attorneys, and very well presented! One of the better Ethics courses; very straightforward, pragmatic. Well done. Great program. He made things very clear. Important and informative. Good course. Good tips for retainers and disengagement letters. The presentation was very well organized. GOOD, SHORT AND PRECISE PRESENTATION. This course was interesting to watch and I learned from it. Thank you. One of the more interesting presentations that I have viewed thus far on Lawline. best course of the bundle. Good for any and every attorney to learn. Very practical program with good information and reminders. Very nice & knowledgeable presentation. The course was clear, concise and well-presented. I found it to be very helpful. Particularly liked the written outline detail. Very helpful pointers about the kinds of clients to avoid and the most common causes of actions. Very clear and great advice. good course on legal malpractice avoidance. excellent course, worth while attending. Exactly what I wanted to learn more about. This was a very informative course. The reminder page on client selection was especially helpful. Keep upi the good work! Great speaker. Engaging. Useful and practical information. Excellent insight into "problem" clients. I thought this presentation was very good. It held my attention and was at just the right level of detail for my needs. Good practical and common sense suggestions for client interaction. I thought he was very informative. And cover many errors for an attorney to be aware of to prevent. I was surprised to have enjoyed this one! Also material timely was looking at a concurrent representation related issues. This one should have a star. I liked his listening to clients one too. I couldn't agree more than with his list of clients NOT to take. Good insight. Wish I watched this 5 years ago. A good refresher, I enjoyed it. Very clear and concise presentation. Good practical advice. Was easy to follow and interesting. Would recommend. Thanks. A truly excellent presentation - one that I wish I had heard 35 years ago. Very practical advice as well as coverage of pertinent law. Excellent course with relevant and helpful information. Very practical and helpful presentation. It was focused, organized and straightforward. Bravo! Program useful for practical use in dealing with clients and minimizing potential risk of legal mal lawsuiits. He is good, keep him around. Should be viewed by lawyers to avoid malpractice claims and grievances. Excellent presentation in terms of new material and refresher items. Highly commendable and knowledgeable presenter. Enjoyed the course, very useful info presented such as the type of clients to avoid among others. Thank you. This was a great refresher and provided new insights. Enough good content to make this worthwhile, including a review of client relationships.. Very good! Returns us to basics. Excellent discussion of potential problems and precautions to be taken when representing clients!! Excellent presentation and many good tips. Would have good to hear more from Mr. Abrams. He's conversational, gives good information...helpful, practical stuff we all must keep in mind. Very important content. Nice to have it so well codified. An outstanding presentation touching on the basic principles of how to avoid malpractice claims. In a nutshell, excellent. Knew the subject matter and gave good points on clients to avoid. Thoughtful. Very practical advice on ethical issue. The best course that I have taken on Lawline. Very good practical advice and appreciate the only one hour duration. Very well presented. Excellent and practical suggestions. This 1 hour is really excellent. This fellow knows his subject, and a vital subject it is. Take an hour and see this presentation and take careful notes. Excellent blend of general and specific examples. Excellent review of complex and important area which should be of concern to all attorneys. Excellent Course! Covers all the bases. Its interesting to listen to Mr. Abrams speak. Excellent presentation, would highly recommend this to others. I hope Daniel Abrams gives more ethics courses on Lawline. The presentation by an attorney involved in legal malpractice adds practical advice that may not be obvious beyond the text of the rules. Very informative, especially for a sole practitioner! Numerous helpful and practical guidelines for avoiding malpractice pitfalls by careful client selection, constant communication, and not getting in over your head. straightforward, useful, and entertaining manner of presentation. As usual, another great speaker. Thank you lawline. Great breakdown of some of the most salient issues in this field. I thought that the discussion of conflicts was particularly good. I thought that this had some really interesting discussion on this issue. Excellent coverage of a very important topic, with great advice from a seasoned attorney. Effective speaker. Good information presented! Excellent - cogent, and well-presented. Pretty basic information - good presentation. Nice review of areas where attorneys can run into trouble by not staying focused on rules of ethics in all transactions. Informative and interesting. Thank you Mr Abrams. Highly recommended .. Solidly good advice for practicing lawyers. Very fortifying. Renewed reminders for inclusions in retainer agreements & essential client communication - client inclusion in tactics, etc. This was a good, concise "refresher" on basic, practical ethics. Very Informative and thought provoking! great course with lot's of practical information. Very good advice and information. Good speaker. Obviously has a lot of substantive knowledge. This lawyer provided an excellent overview and refresher presentation in the area of the course. Every lawyer should be required to take this course within 30 days of starting to practice! Excellent overview and some very good reminders and office practices. Really interesting and practical explanation of the ethics rules! Very helpful in connection with keeping a good relationship with clients. Excellent presentation. Articulation was perfect. Touched on many topics in the right amounts of time. Great seminar and covered great areas! Well organized and well presented. some technical difficulties, but great downloads really helped. Thanks. This was a good seminar - the length was good and the speaker was very good. The technology and screen interface were excellent. I enjoyed the fact that the speaker had great slides, but spoke to them as appropriate. He didn't read them to us. Lots of great information in time allotted! And no computer issues during this course! Thought it was very good. Worked great too. Very good course. Thank you for offering it. This was one of the better Ethics presentations I have seen in 10 years. Very effective speaker, great presentation, thanks! A very nice basic overview. Interesting discussion of clients to avoid accepting.